I enjoy working with my clients to achieve timely resolution of any dispute or settlement. I moved to Taupo in 1985 with my parents attending, school locally and in Hamilton. 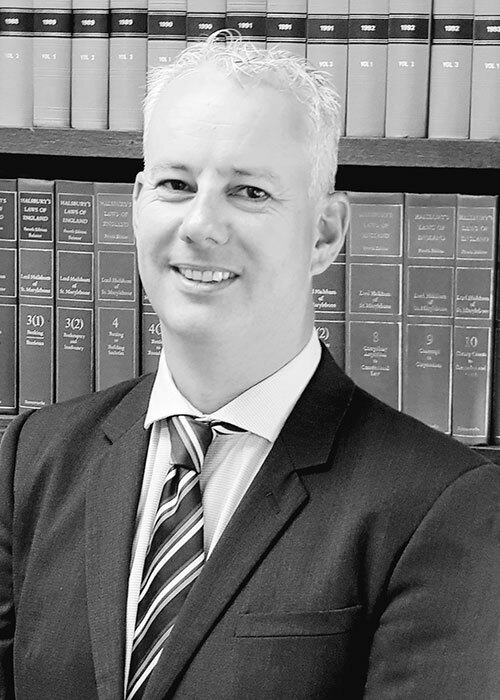 After completing my Bachelor of Law at Waikato University in 1996, I was admitted as a Barrister and Solicitor in the Hamilton High Court in 1997. Since my admission I have practiced law in New Zealand, London and Sydney. I am admitted as a Solicitor of the Supreme Court of New South Wales. I returned to Taupo in 2006, was a partner in the local firm Malcolm Mounsey Clarke from 2008 and joined Cargill Stent Clarke as a Director in April 2019. With my broad practice area, I provide comprehensive cost effective and practical advice to my clients. I enjoy working with them to achieve timely resolution of their dispute or settlement of their commercial transaction. I am particularly passionate about elder law due to family circumstances where my mother suffered from dementia. I recognise the need for all people to have an Enduring Power of Attorney and can prepare these for you. If required, I can also assist in obtaining Welfare Guardianship and Property Management Orders from the Family Court. My role in the Taupo community as the Honorary Solicitor to Age Concern, consists of providing advice in respect of elder abuse. I have also practiced in the criminal jurisdiction and can assist you with criminal and traffic matters, including drink driving, Judge Alone Trials and Limited Licences. I enjoy living in Taupo with my family. I really enjoy the lake where during the summer you will find me most days after work coaching the junior sailors. The 2019 Summer also saw me running the adult Learn to Sail programme.